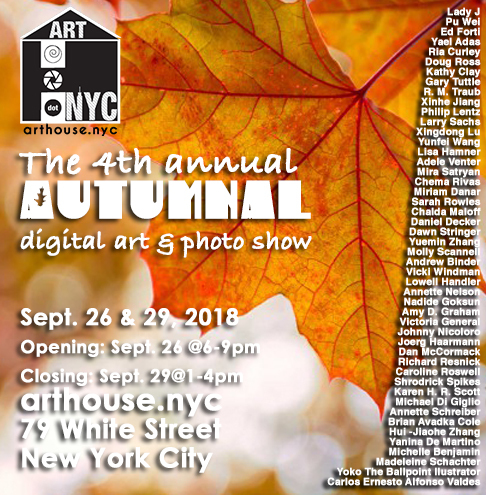 ARTHOUSE.NYC once again celebrates the harvest season with another juried group exhibition - The 4th Annual Autumnal. Once again we will be coinciding with Tribeca Art + Culture Night on Sept. 26th. Celebrate a cornucopia of color and brilliance with new work guaranteed to tantalize and captivate art lovers and collectors alike.